FUTA Postgraduate admission form for 2018/2019 academic session application is out on sale at spgs.futa.edu.ng. 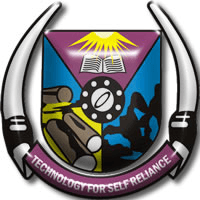 The Federal University of Technology, Akure SPGS has announced on their website that the 2018/2019 PG admission application form is now available. LATEST UPDATE: Application Deadline Extended; SALE OF FUTA POSTGRADUTAE FORMS FOR 2018/2019 ACADEMIC SESSION HAS BEEN EXTENDED TO 31ST JANUARY, 2019. APPLY NOW! Federal University of Technology, Akure (FUTA) has Postgraduate Diploma (PGD), Masters (M. Agric. Tech./M. Eng./M. Tech.) and Doctor of Philosophy (Ph.D.) programmes. Applications are invited from suitably qualified candidates for admission into the following Postgraduate Programmes of the Federal University of Technology, Akure for the 2018/2019 Academic Session. Professional qualifications acceptable in the University, such as ACA, AIB, ACCA, ACIS, or equivalent for the Postgraduate Diploma in Computer Science only. A good Bachelors degree from other recognized Universities, in the appropriate discipline. Any other qualification approved by Senate. Full-Time students shall normally spend between eighteen (18) and twenty-four (24) months. Students shall normally be required to spend between eighteen (18) and twenty- four (24) months. Full-Time candidates may defend their theses between thirty-six (36) and sixty (60) months. Note: Applicants are no longer required to present O’Level results for postgraduate admissions into the University. FUTA Postgraduate admission application forms will be available for completion for six (6) weeks beginning from Monday, 8th October, 2018.